We live in a perfect world and still crib about it almost every day, whereas there is another world which is dark, depressing and divulges the bitter truth of our modern-day society. We keep hearing a lot of stories on acid attacks, we empathize with them for some time and then forget, but how many of us actually walk down the road with them to see how they survive such sickening inhuman acts? Not many of us even bother following up on that story the next day, but there is a woman who takes every dark road heading towards the not-so-mainstream culture, and brings out the same in the form of a documentary in front of the world. In 2013, the Canadian government awarded her a Queen Elizabeth II Diamond Jubilee Medal for her work in the field of documentary films and the World Economic Forum honoured her with a Crystal Award at their annual summit in Davos. She is also the founder of the Citizens Archive of Pakistan, an set up for conserving Pakistan’s history. 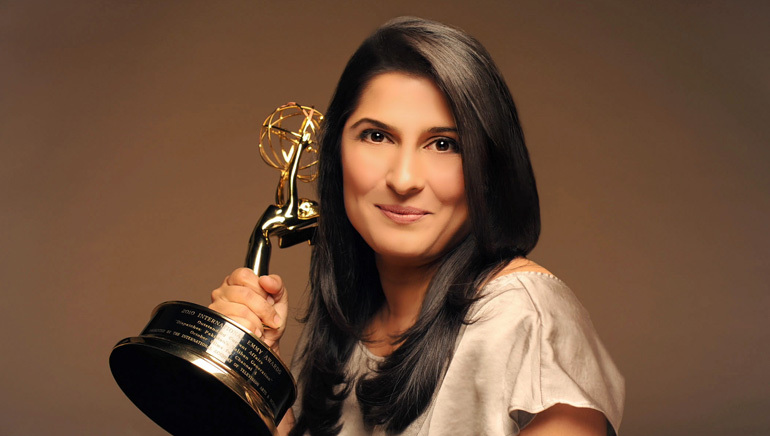 Sharmeen Obaid-Chinoy, is the first Pakistani to win an Academy Award in 2012 for her documentary film on acid attack survivors – Saving Face. Working on many more social causes related to transgender and refugees, she wants to bring out a different, courageous, hopeful and helping side of Pakistan to the world. She picks all the sensitive subjects for her documentaries but deals with each one of them with utmost sensibility and creativity spreading the message loud and clear.